BBC Worldwide Americas and Titan Comics have announced that, alongside premiering in the upcoming Doctor Who season, the Thirteenth Doctor will be debuting in comics this fall. The new ongoing comic series will be written by Eisner-nominated writer Jody Houser (Orphan Black, Star Wars: Rogue One, Amazing Spider-Man: Renew Your Vows, Faith, Supergirl, Mother Panic), art drawn by Rachael Stott (The Twelfth Doctor, Motherlands), with colors by Enrica Angolini (Warhammer 40,000), and will feature the Thirteenth Doctor, as played by Jodie Whittaker. The new Doctor made her first appearance on 2017’s Doctor Who Christmas Special, Twice Upon A Time, regenerating from Peter Capaldi’s Twelfth Doctor. In Fall 2018, the new TV season ushers in a brand-new era for Doctor Who with Showrunner and Executive Producer Chris Chibnall’s. 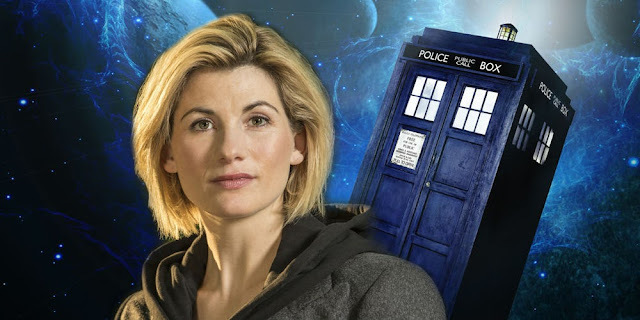 It looks to feature a fresh, focused vision and the arrival of Jodie Whittaker, the Thirteenth Doctor. It also stars Bradley Walsh, Mandip Gill, and Tosin Cole. Series 11 is set to be an unmissable year full of action and adventure. Doctor Who: The Thirteenth Doctor kicks off a new iteration of Titan’s hugely popular and critically acclaimed Doctor Who comics.